The extra-virgin olive oil of "Casale delle Lucrezie" is obteined only by olives picked up by olive trees of our farm, situated in Todi, along "Strada dell'Olio DOP Umbria". Our extra-virgin olive oil is a first class product, with very low acidity and a delicate and fruity taste. 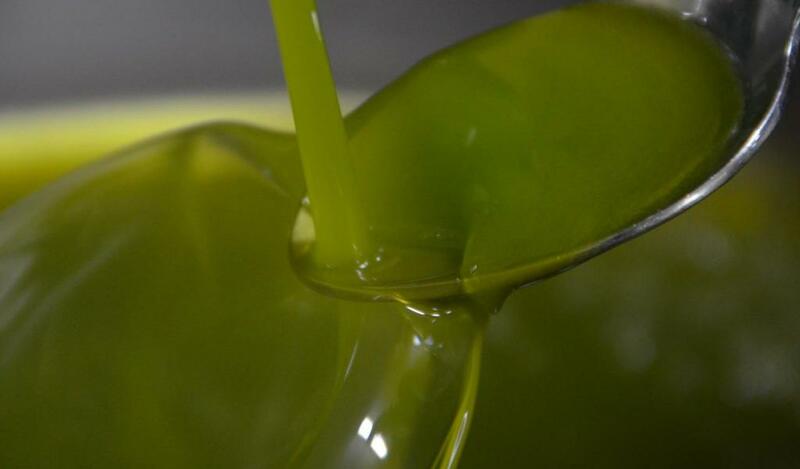 The squeezing of olives, made immediately after the harvesting, with a method called "a freddo" (cold pressing) at "La Casella" oil mill, exalts the organoleptic peculiarities and so it is perfect for a seasoning, expecially with cheese, salad, pasta, toasted bread, meat and fish. The perfect value for money guarantees to all buyers a wholesome product with a safe origin on their own table. At Casale delle Lucrezie it is possible to buy this olive oil in three different sizes: 0,75, 3 or 5 liters. Delivery by express courier is also available on demand.